I got some very good news this week. As you may know, I am studying to qualify as an actuary. I sat two exams in April. I found out I passed one two weeks ago. This week I found out I passed the other. Only 30% of people passed so I'm delighted I was one of them. It's one of my final exams and I wasn't really expecting to pass it first time so I'm really happy! I am hoping to qualify next year some time if I'm lucky with the next exams too. 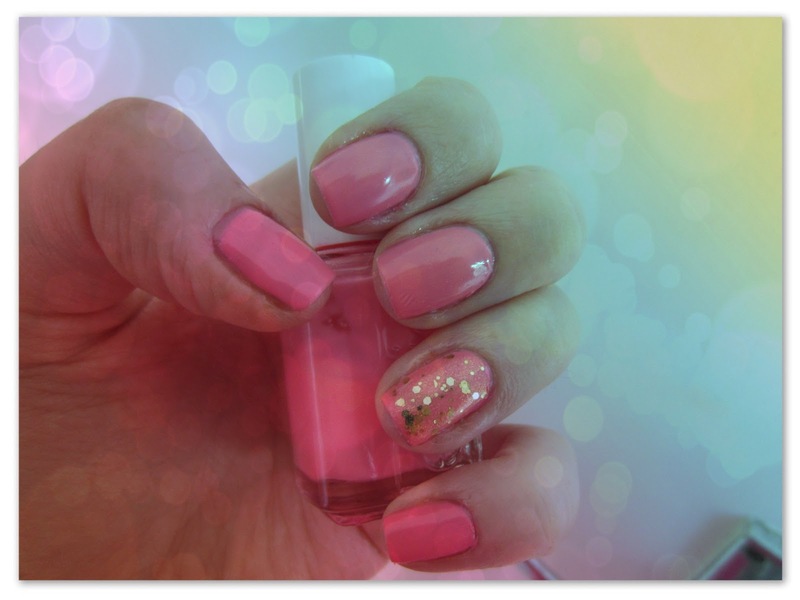 Since I was in a great mood, I decided to go for one of my brightest pinks. Step forward Essie's Knockout Pout. The best way to describe this is a creamy neon. It definitely doesn't have that blue tone that a lot of neons have. The colour really pops. I decided to add Essence's Make it Golden. This is a great gold glitter because it also has a very fine micro glitter as well as the normal glitter chunks. Unfortunately it was discontinued earlier this year. If you are familiar with neons, you'll know that there can often be application problems with them. Streaky, flat colours are common and unfortunately Knockout Pout is one of them. You have to use at least three coats to get rid of the streaks and if you don't use a topcoat, it has no sheen at all. It's such a pity because it's one of my favourite colours but it's a bit of work to apply. 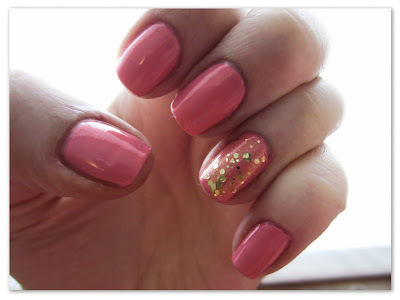 I still love this mani but I would love it more if the pink applied better. Do you wear neons often? Do you have the same problems? 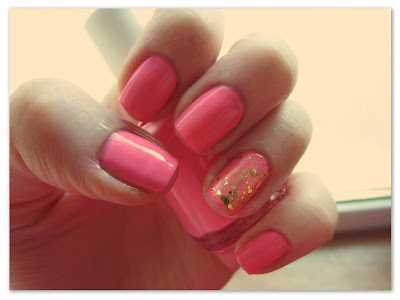 Congrats on the exams :) and love the gold and pink nail look. Very pretty.